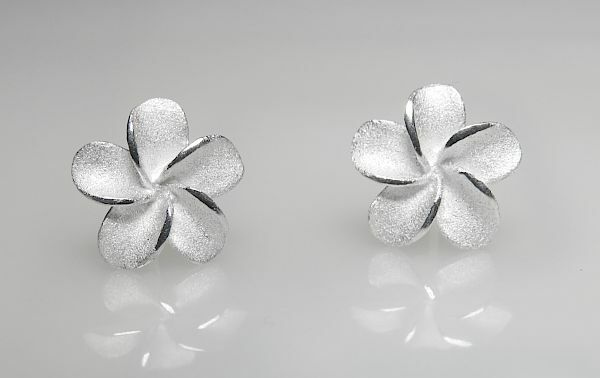 Sterling silver Plumeria (frangipani) stud earrings with extra white sanded finish. Post back with spring butterfly clips. Matching items also available.